Here I want to show pictures of what people have made with the help of my tutorials, to show the result of when someone else follows the tutorial. I was thinking that it could be very inspiring to see both for me but also for others. Of course I would add a link back to you if you have a place on the internet and of course write out photo credits. 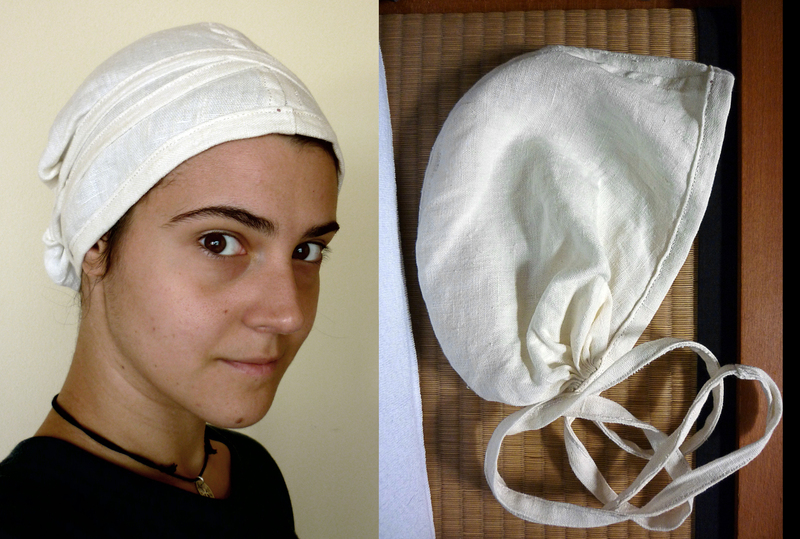 Celia from Italy made this nice St. Birgitta’s cap with the help of my tutorial. You can find more things by her at her Facebook page Impressum and at her Flickr. 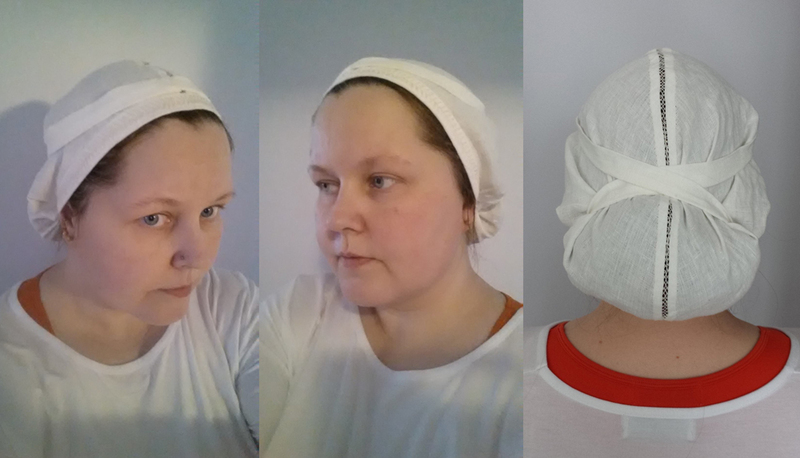 Marie Hedén from the Swedish facebook group “Vi som syr medletidskläder” made a St. Birgitta’s cap using my tutorial and pattern. She also added some lovely embroidery to it. As she found it hard to get the cap to stay on her head she tied the bands in a different way. 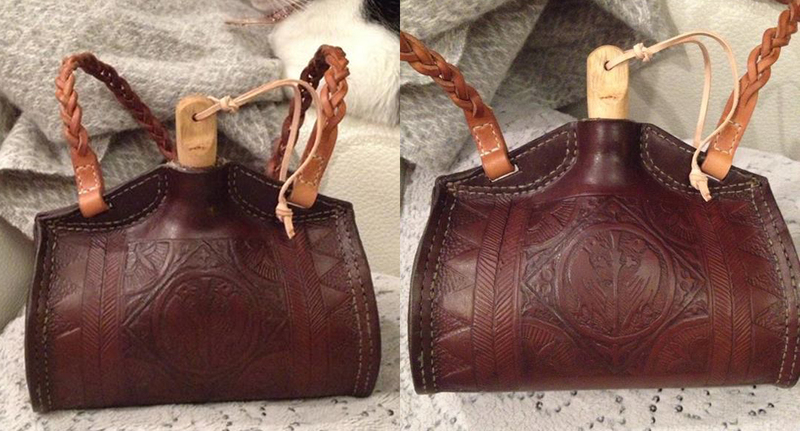 Lisa Hjelmqvist from Sweden made this beautiful costrel after my tutorial, I am so jealous of the wonderful tooling on her costrel. I also really like the braided strap. Andrea Håkansson from Sweden made veil pins using my tutorial, read about here. 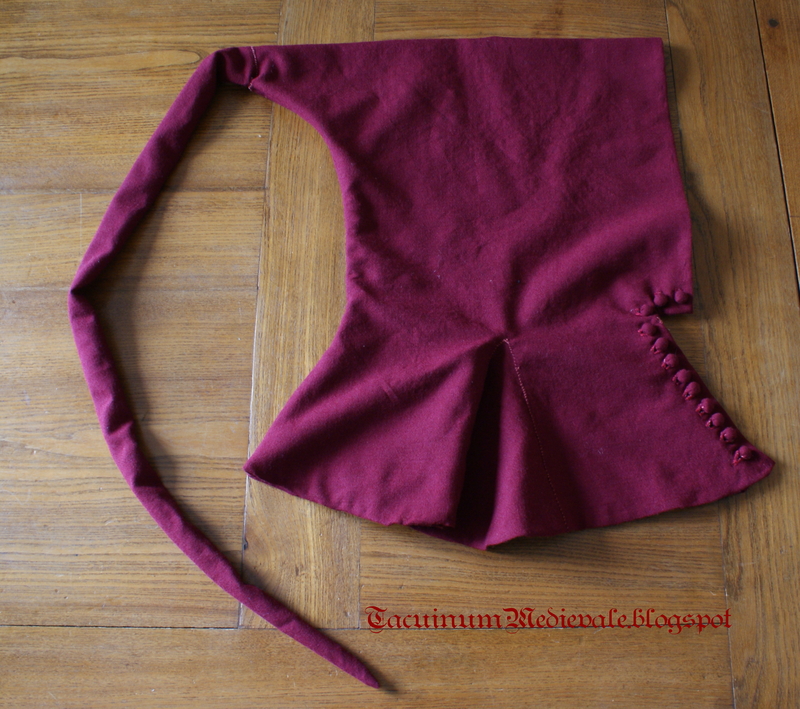 Anna Attiliani from Italy that have the blog Tacuinum Medievale made a hood using my liripipe hood tutorial. She also wrote a blog post about the construction and different ways to wear it. 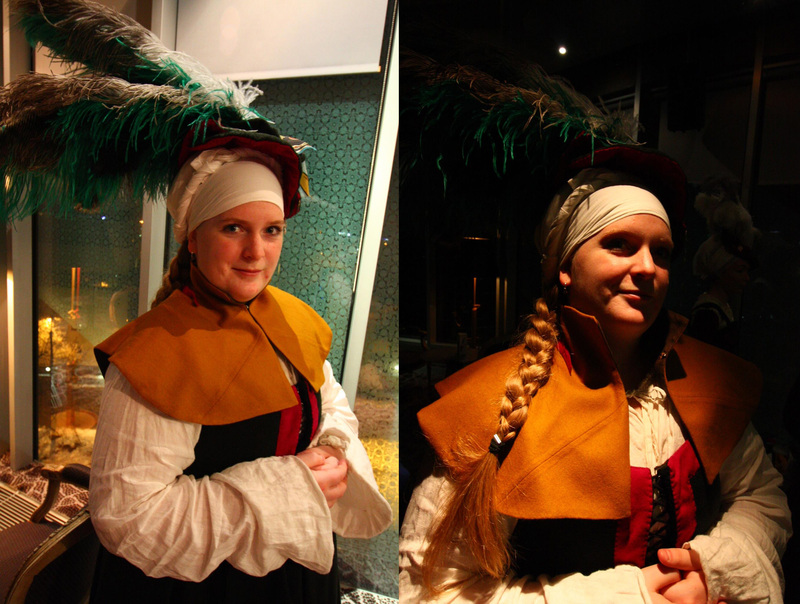 German Tina from Die Reisenden made these wonderful 15th century pieces, using a my tutorials for the kampfrau. Hi I am Tina, I love your Tutorials and next I will make the Kampfrau dress. I am stunned by the work you do. Truly awesome. I am going to use your smocking tutorial soon. 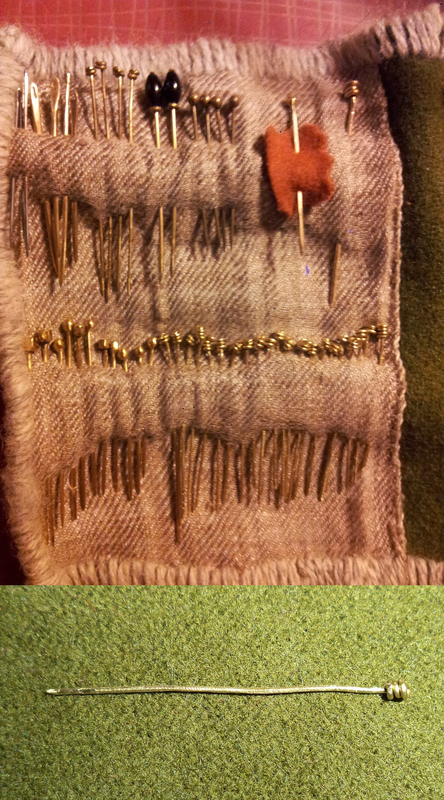 I hope you don’t mind if I use it to make modern curtains rather than medieval dress. I just love the technique and found it in another blog crediting your blog tutorial. I could spend days in your blog quite happily. I just found your turtorials two weeks ago and am in awe of the beautiful work and your talent. My granddaughter Mallory can’t believe you sew everything by hand. She has looked at all of them and is inspired to make the starched frilled veil, she is 19 so we will see if her interest keeps ;). I was happy to find your quick & easy hemd pattern. But I only had a few days to Renaisance Faire (http://www.renfair.com/socal/ ) and didn’t have time to do the lovely needlework I just gathered it at the neck and wrists. It still turned out nicely. 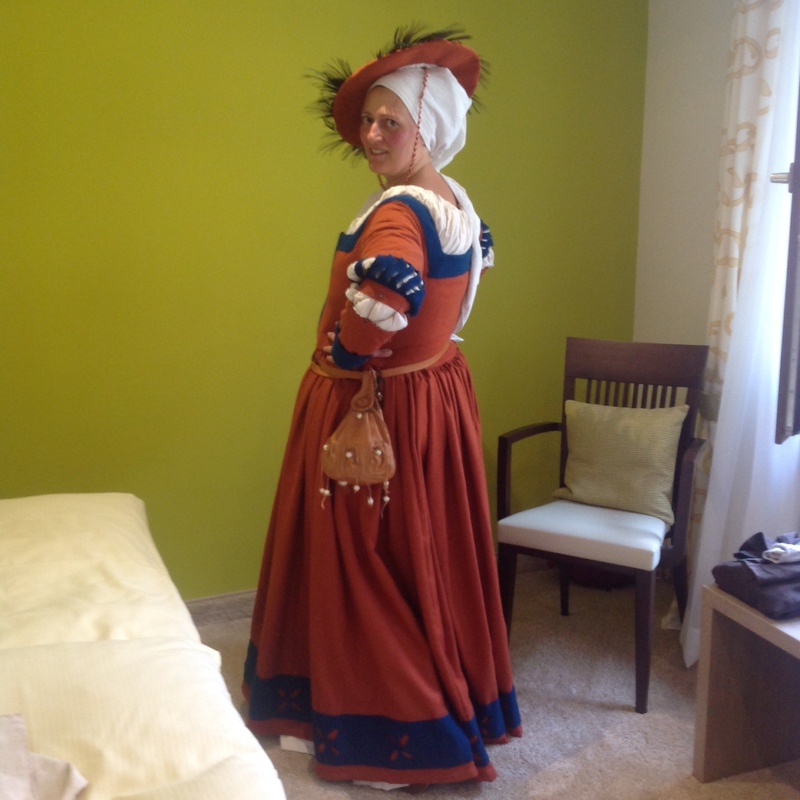 I also made the steuchlein and received several compliments while walking the Faire. 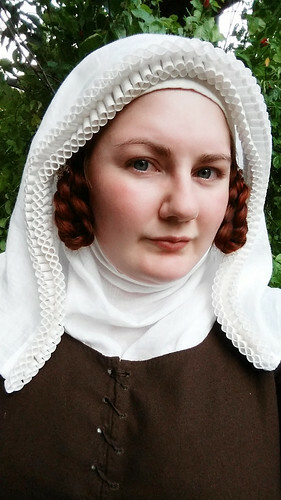 Since I am of German decent I will be making a Kampfrau dress using your tutorials for next years Ren Faire. Thank you, thank you for the time you put into making the tutorials. I’m making a corset now. I started with a custom pattern from your tutorial. I love seeing all of the new things on this page. It makes me feel inspired. I just want to thank you for everything.